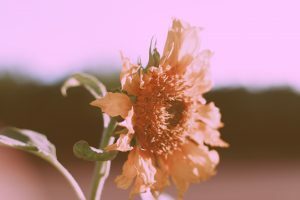 I was immediately drawn to flower essences when I discovered Alexis Smart’s line of beautiful unique blends online. As an herbalist, I’m instinctively curious about other natural forms of medicinal healing and like to try new products, especially before recommending them to my patients. I ordered Alexis’ Peaceful Worrier Remedy as it purported to alleviate all the ways in which I was feeling burdened and not myself at the time: post-vacation, re-entering NYC with deadlines and piles of work to get done. I dedicated the next few weeks to solely taking this remedy and no others, so that I could tell if it worked or not. Fast forward 3 weeks, and I have noticed a significant change! I feel calm, centered and back to myself again, I am thinking positive thoughts, and I don’t feel consumed by worry. Enticed by the subtle but powerful effects of flower remedies, I reached out to Alexis to learn more about her and her products and she graciously agreed to answer some of my questions. Meet Alexis Smart. 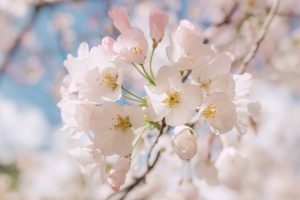 What are flower essences? How do they work? Flower essences or flower remedies are a system of healing invented by Dr. Edward Bach in the 1930’s. 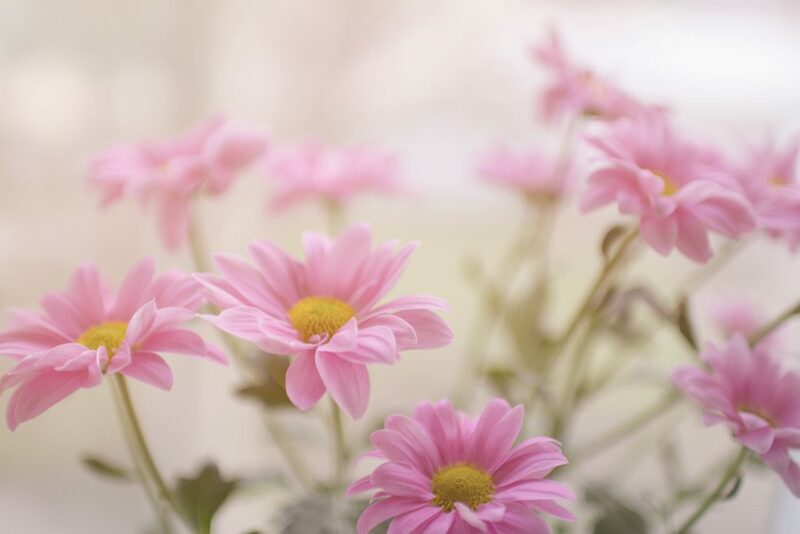 He was a medical doctor who believed all illness originates in a spiritual imbalance and he found that flower essences can have a healing effect on the spirit. They are made from living blossoms. 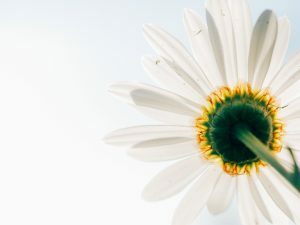 Flower remedies are considered “vibrational” medicine, like acupuncture and homeopathy, meaning they work on the subtle energetic field and help to stimulate our innate self-healing capabilities. The difference in flower essences is that they are prescribed only for the emotional, mental and spiritual level and never for the physical complaint. They stimulate positive feelings, thereby eradicating negative states, returning us to a feeling of wholeness. At what point in your life did you learn about flower essences and healing? What called you to this work? In my late twenties, I was physically very ill, with undiagnosed malaria from traveling in Egypt and deep grief and anxiety from losing a number of very close people in shocking circumstances. I had tried everything, both conventional and alternative medicine. I happened upon a healer, purely by chance, who gave me flower essences, and within three weeks, I was feeling like myself again, happy and full of hope. It was the most profound thing I have experienced and I couldn’t believe it didn’t require extensive discipline, dietary changes or a commitment of weekly visits for my whole life, as most other modalities recommended. I knew this was my calling and began my studies right away. How has using flower essences impacted your life? I now have a tool whereby I can overcome the challenges I used to see as fixed, unchangeable and insurmountable. The best part is that they don’t suppress your bad feelings, but they enable all the positive virtues I want to have. Before I took flower remedies, I did believe that I was a certain way and that I couldn’t change much. Now that I know I can change, I am much more compassionate to myself, and to other people. Can you describe your product line and how one should choose the right remedy? The product line has about 22 formulas total. Five are for children and are alcohol-free. I developed the formulas during my years of personal consultations, so the formulas have been tested and proven and are purely based on experience, rather than theories and book prescribing. They contain catalyst remedies, which means they treat the underlying cause of a condition, which hopefully brings the person lasting healing, without backsliding once they stop the remedy. I have formulas for everything we experience in our daily lives, such as anger, lack of confidence, grief and fear. Tell us about your practice, where are you located and what should one expect during a consultation with you? Who can benefit from flower essences? I see my clients in my little cottage in Echo Park. It’s a tiny treehouse and it’s quite a casual affair. We talk for about an hour or hour and a half about where you need help in your life. I get your story and find out where you started to go off your course and I prescribe a formula and if it’s appropriate, I give a homeopathic remedy too. After one month, we follow up and see what the remedy did and I usually change it a bit, as new issues come up. Anyone can benefit. Often, the first time I see someone it’s because they are in a crisis. They had a heartbreak or they want to get off anti-anxiety meds or antidepressants. They come for those issues and once they are out of the emergency, they still like to come back for help with less intense issues, like confidence or trouble focusing, etc. You don’t need to believe in them for them to work. You do, however, have to take them! The dosage is four drops, four times a day and they take about three weeks to feel the effects. 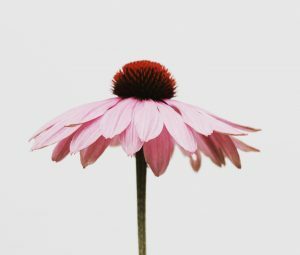 Is there a flower remedy to support an individual in each season? If so, Is there a remedy best to support us in the fall or winter? How has living in California influenced your healing practice? I grew up there, so it’s hard to know. But after traveling so much, I see now that Californians are very open to my kind of work, so it does make it easier that I live in a place where I don’t have to convert anyone or convince anyone. Do you have a morning/evening health and beauty ritual? At night, I love a long hot bath. Sometimes if I am under the weather, I use Dr. Singha’s Mustard Bath. It makes you sweat like crazy and by morning I am good as new. I am a homebody. I love to watch movies at night with a nice home cooked dinner with my food from the farmer’s market. In the mornings, I need a slow re-entry period, haha. I don’t like to bounce out of bed and go out. I make tea and check email, make lists and plans. I don’t see clients until 11:00 because that morning time is very important for me to find my peace for the day and make sure I am not led astray by other’s demands. What’s your favorite thing to do to relax and stay balanced? I love yin yoga, or gentle yoga class. I go to a Friday night class sometimes with Adriana Rizzolo at yogala in Echo Park. She does part asana and Kirtan. It makes me so happy to sing those chants but it’s also relaxing. I go to ballet a few times a week, take walks around Silverlake and go to the Farmer’s Market. Those are my routines and then peppered throughout, I do like to travel, be in nature and get enough art to keep me inspired. What keeps you inspired as a business owner and healer? I have a lot of interaction with my personal clients and even the strangers who buy online, as they write with questions and feedback. Just hearing that what I am doing is changing someone’s life is enough to keep me inspired. I am learning though, as a healer, I need to see healers myself! I am finding with all the healers I know, they all need massages or they are worn out and drained and don’t take care of themselves. We must take care of ourselves if we want to keep helping others. Are there any changes or new formulas to look out for in your line and practice? Yes, I am busy in my workshop! I have a formula for empaths coming out and one for quitting smoking. I am encountering more and more people who have the empath profile and find it hard to be around people because of their sensitivity. I thought it was just me, but now it’s clear there is a great need for a formula for them too. 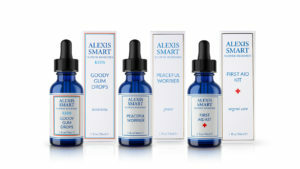 I’m so very excited to be carrying Alexis Smart Flower remedies in my practice and The Shop! This entry was posted in Health & Wellness, Herbs & Supplements, Interview and tagged Alexis Smart, Dr. Singha's Mustard Bath, empath, energy field, essences, Flower Essences, flowers, Healing, peaceful worrier, positive feelings, self care, sunshine, Vibrational Medicine, wholeness.